You are here: Virgin Islands News Online » News » Schools hit by shortage of supplies as Ed Dept is allegedly cash strapped! Schools hit by shortage of supplies as Ed Dept is allegedly cash strapped! 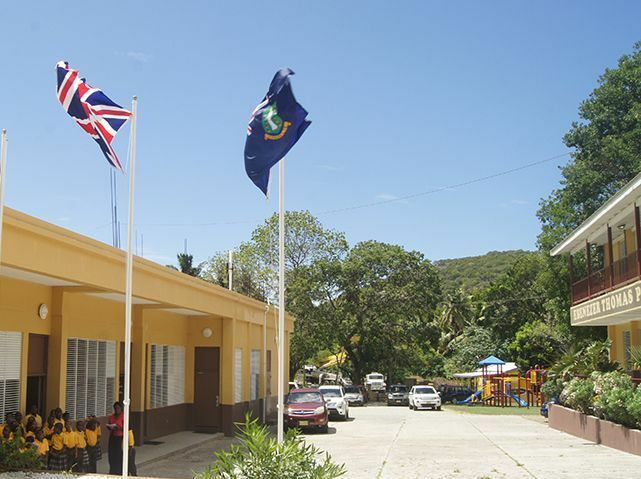 ROAD TOWN, Tortola, VI – Parents with children at several public schools across the territory have been complaining that there is a shortage of general supplies as the Department of Education is allegedly out of money at this time. Dominant with the complaints were parents of the Ebenezer Thomas Primary, Althea Scatliffe Primary and the Elmore Stoutt High School. Some of the supplies certain schools have been short of are cleaning agents, toiletries, disposable cups for drinking water and teaching materials. On the other hand, some parents said that they have no challenge assisting with supplies for their children’s schooling. “If the school doesn’t have, we have to assist. If government tight, what is so hard for us as parents to assist?” said a parent of the Willard Wheatley Primary School. “Parents need to stop complaining about every little thing. All over the world there comes a time when schools ask parents to assist with supplies, the BVI is no different. If we want the best for our children we will do all that is necessary and not be complaining,” added the parent. Several efforts were made to make contact with senior functionaries of the Department of Education but to no avail. 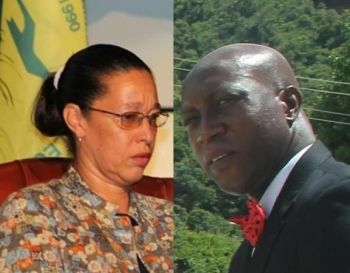 Permanent Secretary Dr Marcia Potter and Minister for Education and Culture Honourable Myron V. Walwyn were said to be unavailable as this news site was told they were the only ones who could respond to our queries. Finally somebody addressing this issue. The Minister should be blasted a shame of himself. He out talking talking trying to make people feel he jamming in education while the truth be told that this is the most chaos education has ever been in. I can kiss your feet! We certainly have our priorities all tangled up. I am so sick of how our teachers and students are being treated & can't say a word because the evil one have everyone afraid of them. This must be some kind of magical portion. Some of the $100,000 sent to Dominica could have come in handy to help with this issue. No money but it has money for Ports to send ten persons to one conference and live on the fat of the land at the conference. No money but the Deputy Premier always in the air flying first class & living it up. I am sick of the PR games of the NDP coming talking as if everything is okay when they know that they dry the Treasury just to win the elections. Now we all must suffer. The money used to build that prison like wall around the school could've purchased all the supplies in the world...Almost a million dollars...Ridiculous! No even toilet paper the kids have to wipe with! WOW! kedric should donate the money what he is using to fly around the world. Well for those who cant see beyond, its no problem to help the govt buy supplies for he schools........till when your govt job cant meet payroll. That when you gonna see the seriousness of this situation. smh. i had my kids take pictures of everything going on in that highschool just so people can know what it look like before them start throwing all the high tech equipment and fixing up. Those kids will not know the value of new and fresh until we fix this issue from the elementary level. They cant learn in such an environment, that type of environment has been scientifically proven time and time again to create temperaments that are violent, rebellious and unproductive, only parents who discipline at home would see the fruits of children leaving their promisingly. Myron has no knowledge of REAL education for children, yall people are the ones to blame because yall keep falling for the illusion. You think these people in high positions dont know the highschool dont have no ink and paper? I tired ask my children about their exams and they said teacher cancel it because they run out of paper. Water also used to be free in highschool, why the hell we soliciting children for water? Yall Sick...i hope dem bun it alll down and start over. I believe this is where Andrew will say-Checkmate! The Teachers are trying their best with the little resouces. As a parent I will like to know how did we get in this mess. The education system was never this bad. It is going backward not forward, everything broke down now. And people say he best Education Minister ever, you're joking right? Some said our current Minister of Education is like school in the summer --No Class! At first I laughed because it was a funny joke. But truthfully its not a joke and this guy show he really don't care. He's worthless. Let me refresh the public this is going on for a few years every can you can see the teachers buying school supplies for the students so what piss they are talking when they know this is going on for years. from when is this going on from? We all pay taxes, if the schools do not have necessities that our kids need, it behoves us to provide our kids with them until the gov't can do better. Can we afford to pay the teachers for their services? Ask what you can do for your country and do what you can for it with delight. while they do what they need to do for their supporters. Help all not some. There is no damn money the NDP got the country broke! Andrew brought us from good to great and Myron from great to grave.........LMFAO! The best is yet to come. Social Security said "not another cent. Financial Services is bracing itself for the worst and the Port is bankrupt. This will all come to a climax when the Premier goes to London and he is told, "mess of get of the pot." Its only a matter of time. On the NDP platinum site they have MVW discussing "the world is flat," a reference to silicone valley. This is a speech he stole from the internet. Goggle "the world is flat silicone valley" and your going to see where he plaguarized the speech. Times must be hard when you have to palm other peoples thoughts off as your own. Everything is plagiarized . MVW and BL-TYE on a rampage. Check the youth policy. Straight out of Canada the only difference is they change Canada to Virgin Islands. They think that people are sleeping around here. We spent $2 million on Queen Elizabeth Park for the kids to play and teachers to relax and you guys have a problem with spending $2 so that your kids can have toilet paper at school, C'mon don't be selfish. We together, Progress! Kids to play and teachers to relax? You got to be an a$$. Is that important? My kids can play elsewhere. Do you think I can relax where kids run around after I work in the same atmosphere? I hope your comment is sarcasm else you sound stupid! Of course it's sarcasm, progress would not be spending $2 million on a park while begging for toiletries for the schools. The high school is worse than ever. There are too many students in a class (30) and the teachers are really FED UP with what is going on but cannot say anything. Ask the high school teachers why they send their children to a private high school. The BVI BETTER wake up. I call on the Governor to do what he is here to do and stop sipping tea with the people. We must be cash strapped as our ministers spend all our monies on themselves. Unnecessary trips big houses and lavish vehicles to drive around in. Yet we the small people suffer.. so much for my X next election, I will just leave the ballot blank! Remember June 08 everything was GREAT!!!!!!!!!! Ayo sure Fraser is not the Premier because this is the same nightmare that the NDP said would happen if he was to be the Premier. TEK DAT. Everyone of these teachers who are now crying are NDP supporters. Kama is a B%T#H. Not enough chairs at ESHS for the children. Before class you will see children and teachers going around looking for chairs by the time they find some kind the class period time up. I feel so sorry for my son, the rest of the students and the Teachers. How about we give our students a proper & safe place to learn. How about giving our students a proper place to eat. Mr Education Minister, in your article on the other news site, you have definitely not only plagiarized yourself, because I saw the news article from last year that you stole the speech from but you have also put the cart before the horse. Please stop building a Million dollar wall to surround a $1000 school. You’re doing everything bass ackwards oh sorry I mean @$$ backwards. Just wondering have any of you been blocked on the NDP Platinum New Site fro blogging. I guess things got too hot over there with stuff against MVW so they stopped letting some of us blog. I've spoken to a few people that they have blocked.